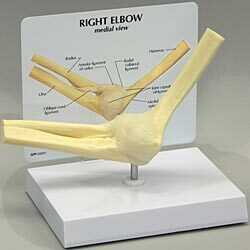 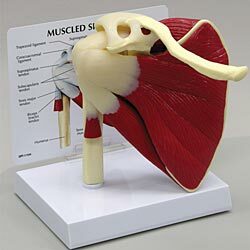 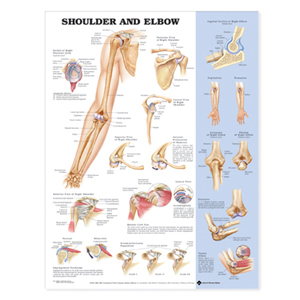 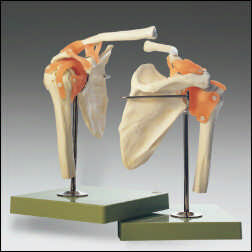 This chart illustrates general shoulder and elbow anatomy. 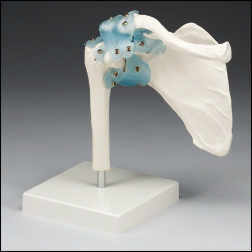 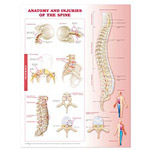 It shows anterior, posterior, lateral, and superior view of the shoulder. 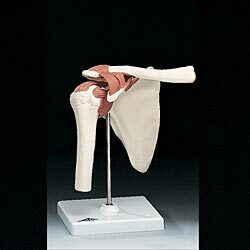 It also shows the socket of shoulder joint anterior and dislocation of humerus and illustrates impingement syndrome and acromioclavicular separation. 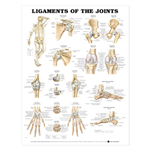 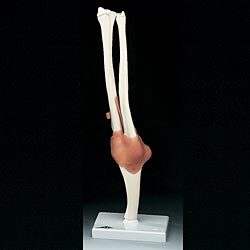 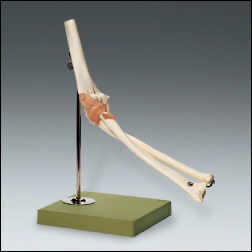 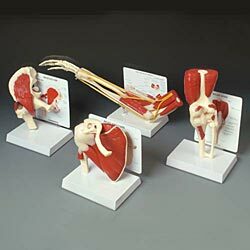 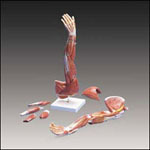 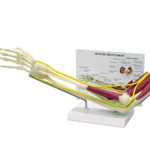 It shows sagittal view of the elbow, as well as supination, pronation, and superior views of extension and flexion, and illustrates elbow fractures and tennis elbow.